Paul Ulanowsky, 3rd from right, second row from the back. 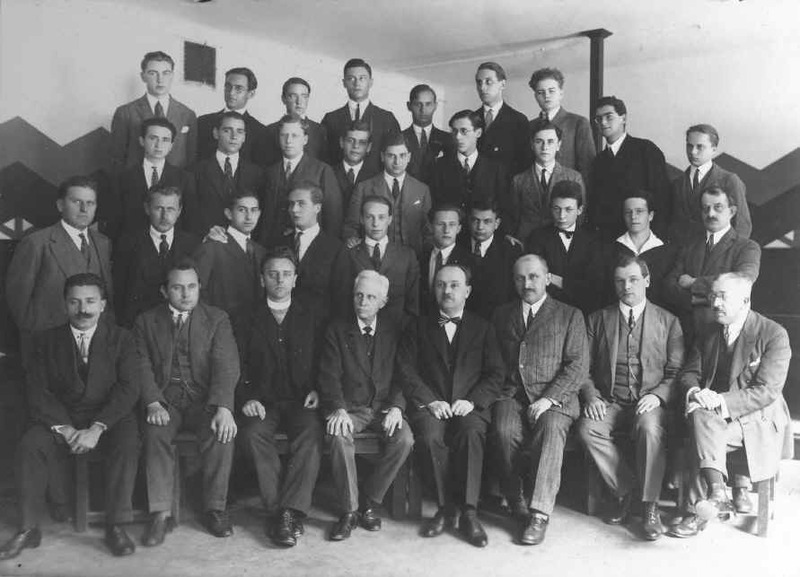 This may be his class at the Vienna University, where he studied from 1926-30, or an earlier photo. He studied at the University with Guido Adler, William Adler, Joseph Marx, and R. Ficker. If you can identify anyone, or the location or date of this photograph, please contact me using the link above.